WestJet officials welcome their first Boeing 787 Dreamliner. 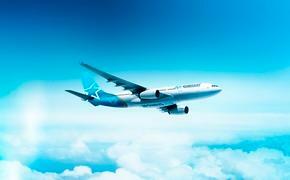 It’s a new era for WestJet. WestJet's first Boeing 787-9 Dreamliner was delivered to WestJet’s hometown of Calgary last night, marking another step in the airline’s progression for low-cost airline to global carrier. The first plane is named in honour of the airline's chairman and founder, Clive Beddoe. 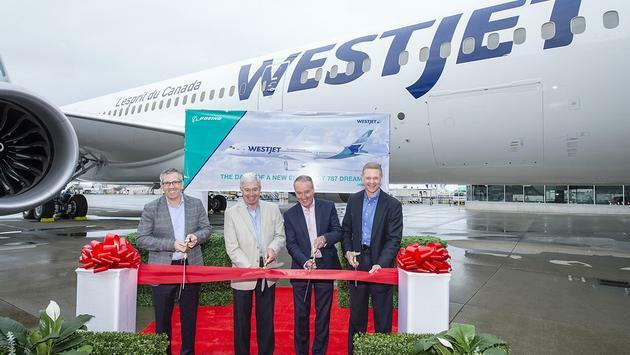 The aircraft departed Everett, Wash., this morning after a naming ceremony in the presence of Beddoe, members of the WestJet executive team and select WestJetters. "Because of the leadership, vision and commitment of our Founder and Chairman, Clive, we had the opportunity to fly our Dreamliner home today," said Sims. "It's fitting the aircraft bears our founder's name as we welcome the future of WestJet."